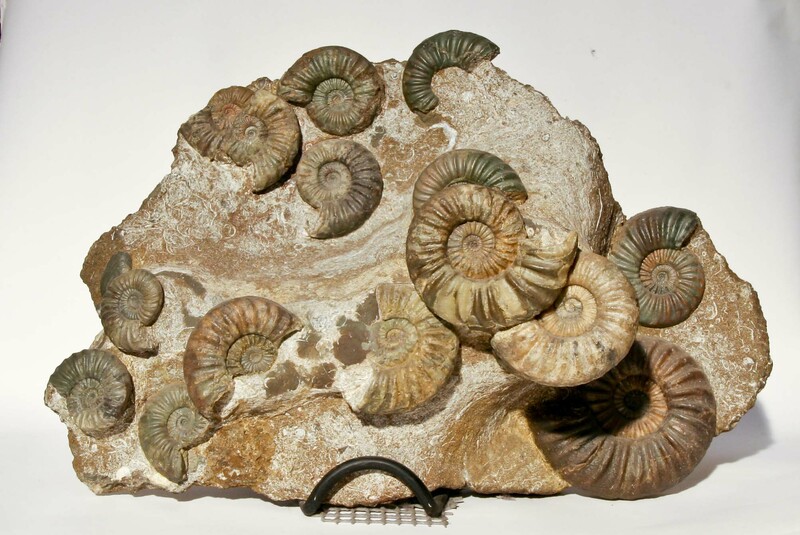 Group of ammonites, Aegasteroceras Sagittarium, from Scunthorpe, North Lincolnshire, UK, 200 million years old. 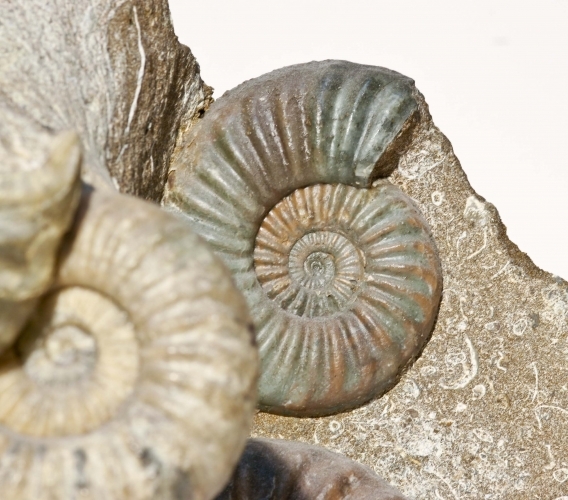 The ammonites retain most of their shell, some featuring green chamosite mineralisation. Colours are predominantly brown and green. Original matrix. 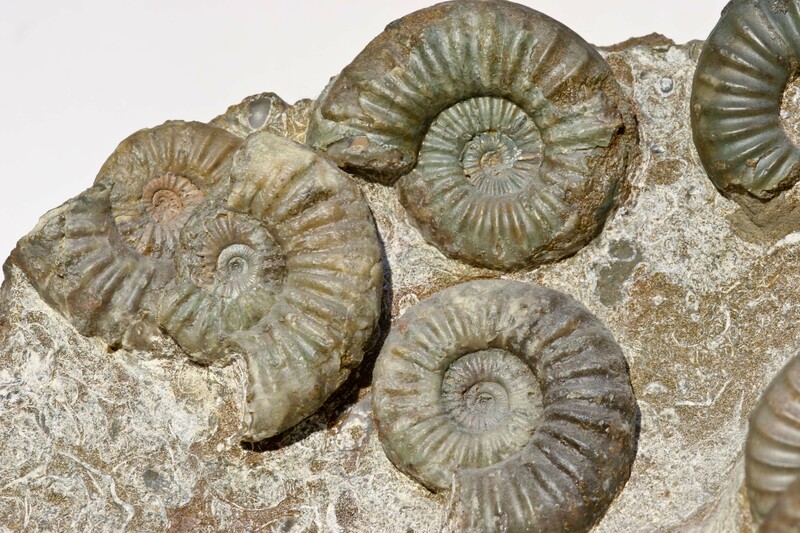 The largest ammonite is 12cms diameter.